For many, Christmas is the happiest time of year. Spending time with family and friends and the giving and receiving of gifts are important parts of a perfect celebration. But Christmas can also be stressful, particularly if you’re the victim of crime. Unfortunately, the number of burglaries and home intrusions increases at Christmas. In a previous post, we’ve covered some of the reasons why, and suggested measures you can take to avoid being targeted. But a frightening number of homeowners overlook the fact that the presents they buy and proudly display under their Christmas tree can attract burglars. If gadgets and gifts can be seen in your home, unwanted guests are much more likely to intrude. These precious presents are a magnet for theft and should be stowed away safely in order to avoid attracting thieves. Burglars know that the average UK household buys around £500 of goods at Christmas time. 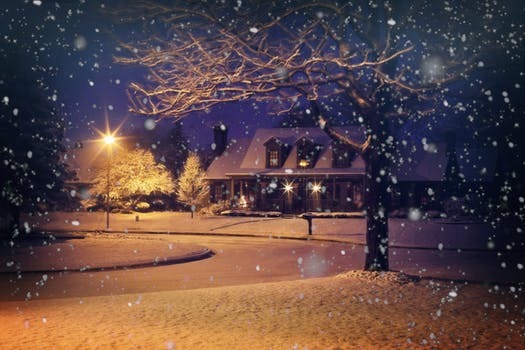 In London, Christmas home security is a big issue but despite this, around half of Britain’s homeowners don’t take any extra measures during December. This can leave their homes vulnerable. Without extra measures, your chances of getting burgled rise rapidly. Don’t leave them under the tree or on show! If burglars can see them, they’re likely to break in and take them. Don’t leave them in outbuildings such as your garage or garden shed. Many homeowners do just that, and it’s often the first two places burglars will try. Don’t leave them near doors and windows. Don’t leave them on display in your car. When you buy them, stow them away in unmarked bags in your car, so people don’t know what you’re bringing into your home. This will also reduce your chances of having your car broken into. Dispose of labelled packaging carefully. If someone sees a laptop box in your bin, they know that laptop is in your home! So where should you store your gifts? Somewhere remote, secure and not on show, such as your loft, or a bedroom cupboard. It’s also essential that your home is as secure as possible. It’s imperative that your door and window locks work, and that you’ve installed good lighting and alarms. If you need help assessing your property, contact us. We offer free security audits to make sure your home’s defences are up to scratch. We can help keep London’s burglars out of your property this festive season. We look forward to hearing from you. Merry Christmas!